Highlighted by a unique plank top, this casual cocktail table fits well in any living room setting. 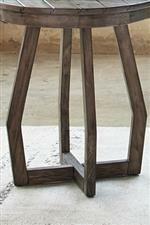 With an elegant angled base, the table showcases rustic design elements. 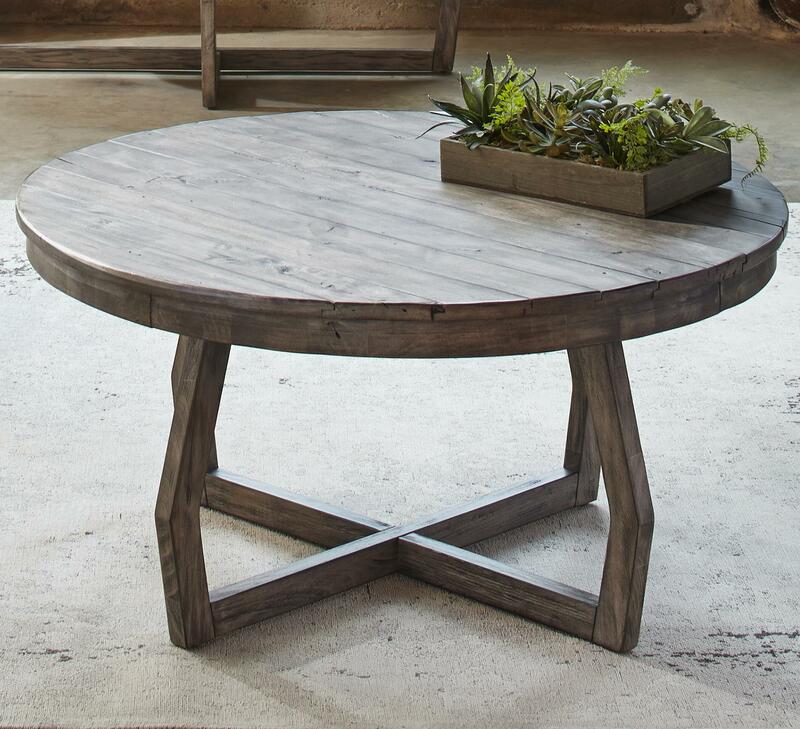 Completed with a gray wash finish, this round table is perfect for drinks, books and magazines. The Hayden Way Round Cocktail Table by Liberty Furniture at Miskelly Furniture in the Jackson, Pearl, Madison, Ridgeland, Flowood Mississippi area. Product availability may vary. Contact us for the most current availability on this product. The Hayden Way collection is a great option if you are looking for Casual furniture in the Jackson, Pearl, Madison, Ridgeland, Flowood Mississippi area. Browse other items in the Hayden Way collection from Miskelly Furniture in the Jackson, Pearl, Madison, Ridgeland, Flowood Mississippi area.